KOTA KINABALU: Police hope Tan Sri Musa Aman will come forward to assist their investigation, as delaying it will only prolong their investigation. 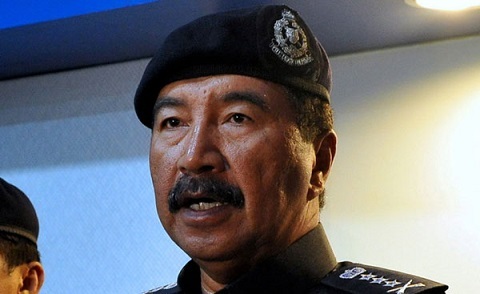 Sabah Police Commissioner Datuk Ramli Din said as a respected leader, Musa should not delay further their investigation as the former chief minister is only wanted for questioning over a police report lodged by Head of State Tun Juhar Mahiruddin for alleged criminal intimidation. “As a leader, he (Musa) should not delay this case any further, because the longer you delay police investigation, the longer this case will be completed,” he said after launching Ops Selamat 13/2018 at Suria Sabah Shopping Mall. Musa is wanted for a police probe into a report of criminal intimidation lodged by Yang Di-Pertua Negeri Tun Juhar Mahiruddin against him and an ongoing investigation by the Malaysian Anti-Corruption Commission into alleged buying of assemblymen’s support after the May 9 general election. The former Sabah Barisan Nasional chairman was last seen publicly leaving Sabah for Kuala Lumpur on May 14.